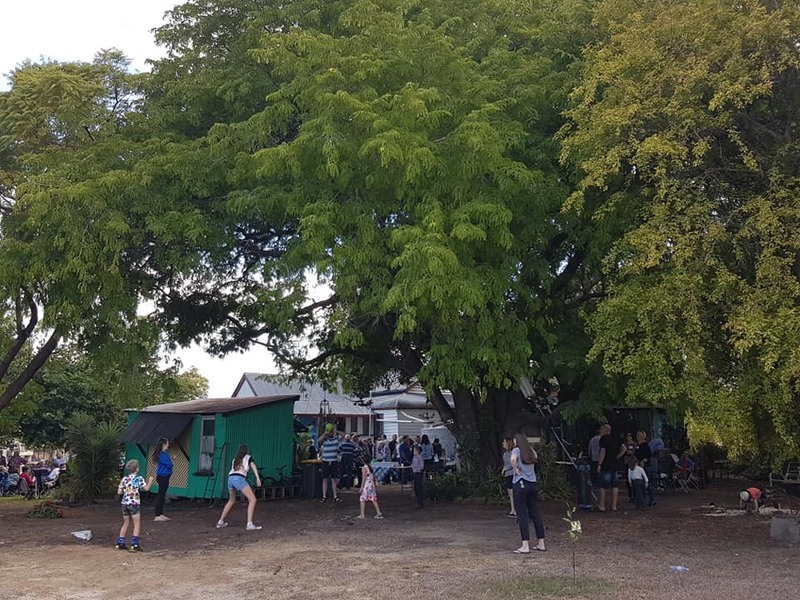 A tamarind tree planted 100 years ago brought together about 100 descendants of eight siblings of the Coker family at Kabra on Saturday 23 June 2018. 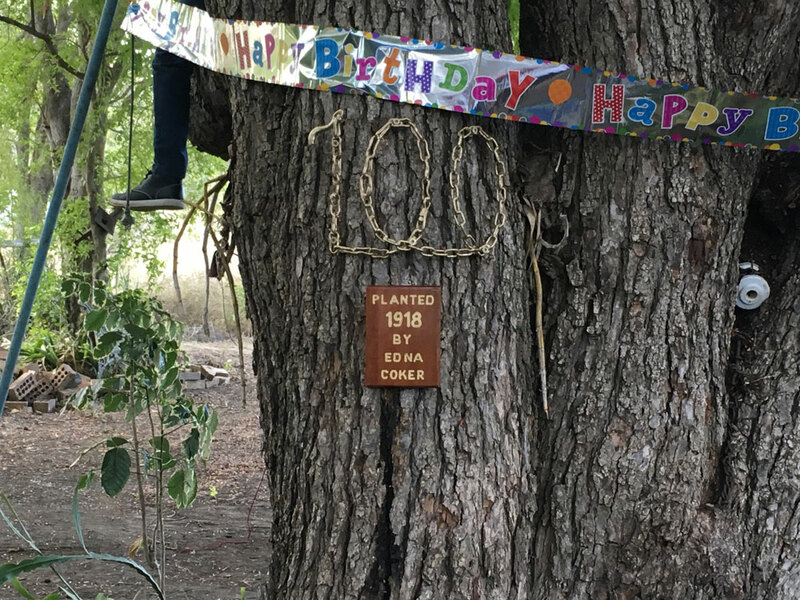 The plaque that marks the tree’s 100th birthday. 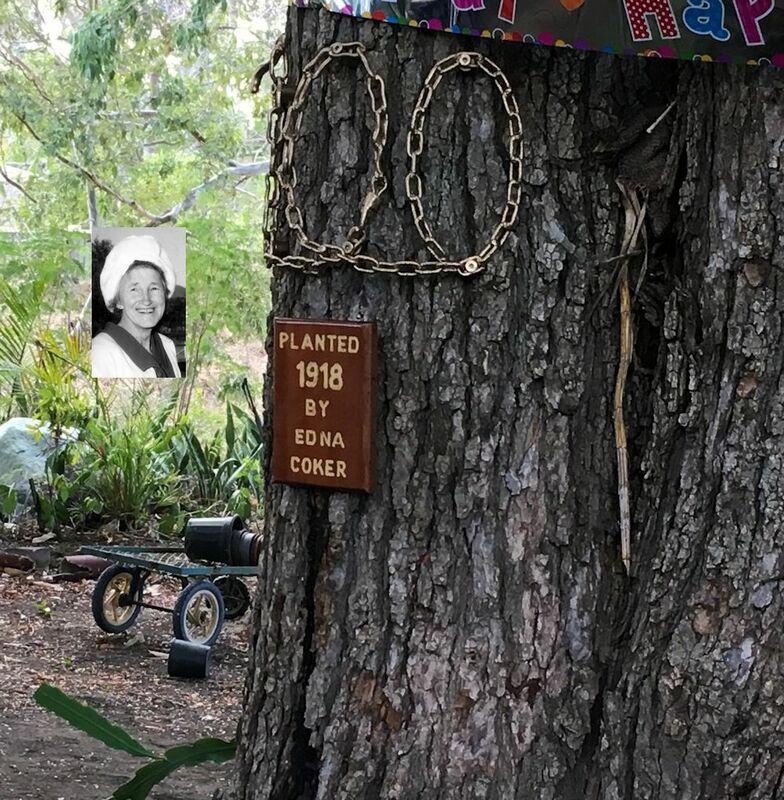 When the youngest of Harry and Emma Coker’s children, Cyril, was born in 1918, his sister Edna planted and watched over the tree that still stands on the property where generations of the family lived until about 20 years ago. 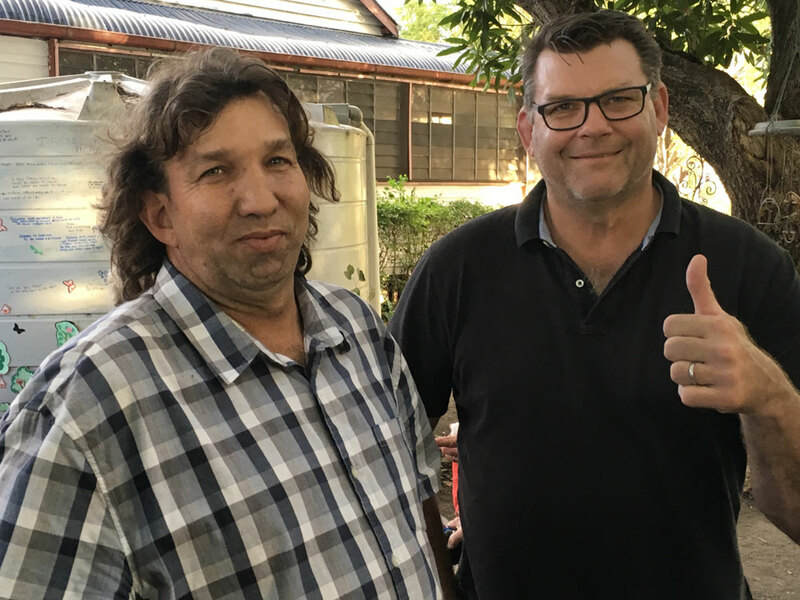 Organiser Winston Sleaford, of Townsville, whose mother planted the tree, said it was marvellous that so many Coker descendants made their way from various parts of Queensland and inter-state for the gathering. Mr Sleaford unveiled a plaque that reads, “Planted 1918 by Edna Coker”. The number 100 was fashioned from a chain that once was attached to the tree. When Edna May Coker married John Alfred Sleaford in 1931 she remained in the Cecil Street home with her widowed mother and raised her six children there. 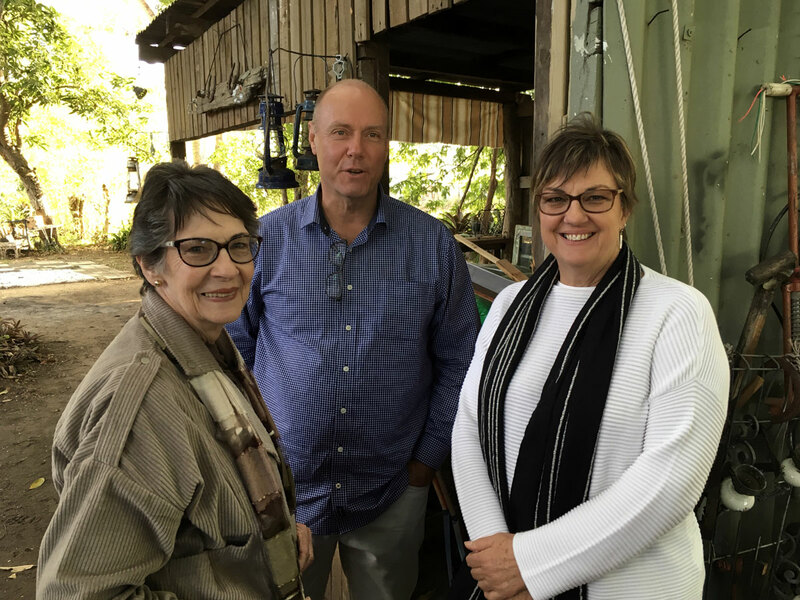 The property is named Yamande (Edna May spelt backwards) as a lasting memorial to the young girl who planted a tree that still draws family members back to visit. The home was built by Harry Coker about 1905 when the family first moved to Kabra from Mt Morgan. The eight Coker siblings were Fred (1900-1981), Alex (1901-1987), Lawrie (1902-1984), Daphne (1905-1996), Archie (1907-1980), Edna (1908-2000), Roy (1913-2004), and Cyril (1918-2004). 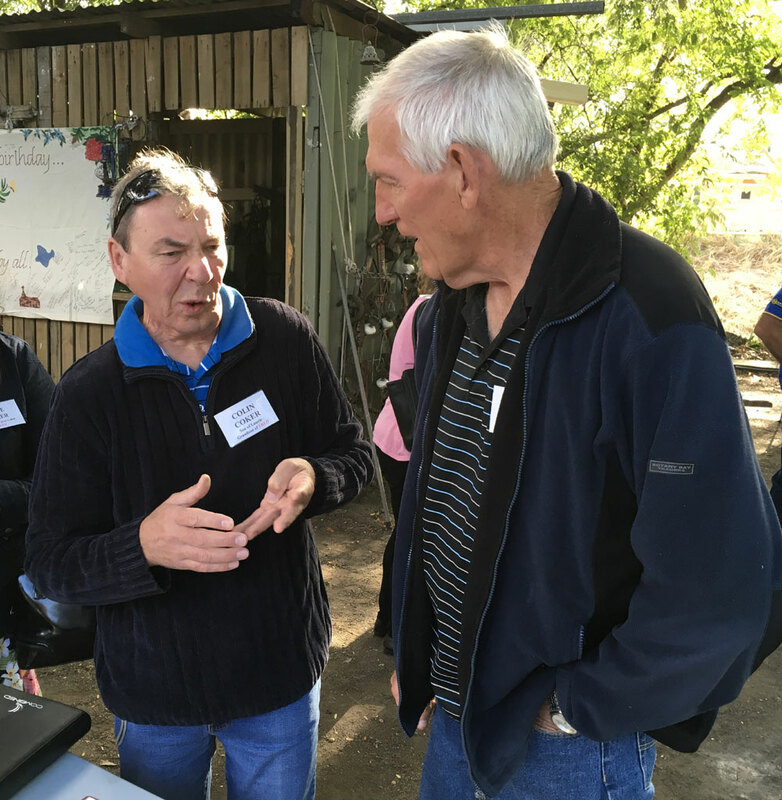 All families were represented at the gathering. Winston Sleaford gets ready to unveil the plaque on the tree his mother planted 100 years ago. The tamarind tree at Cecil Street, Kabra, which was planted in 1918. Generations of children have played and climbed on it. Four of Edna May Sleaford’s (nee Coker) children, Rovena, Daphne, Winston and Edna. Second cousins Michael Ralphs (Edna’s grandson) and Troy Coker (Lawrie’s grandson). 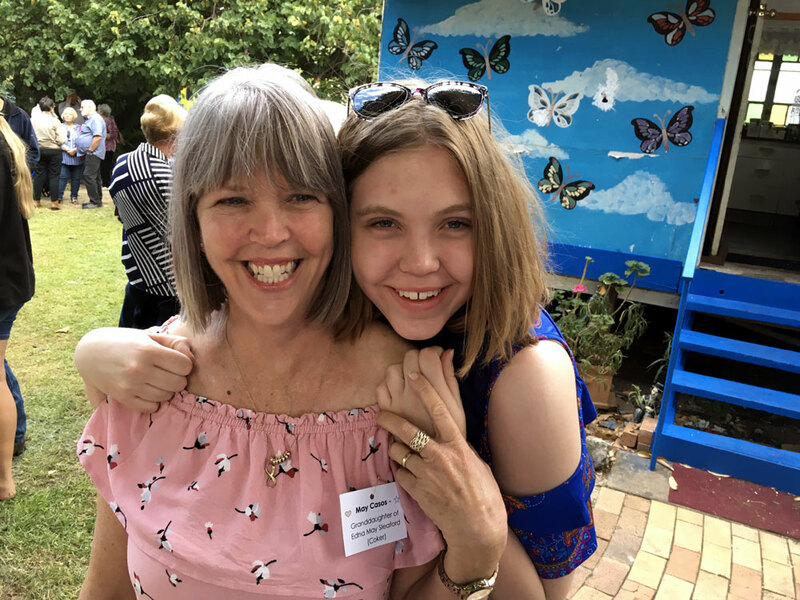 May Casos (Edna’s granddaughter) and daughter Searna. 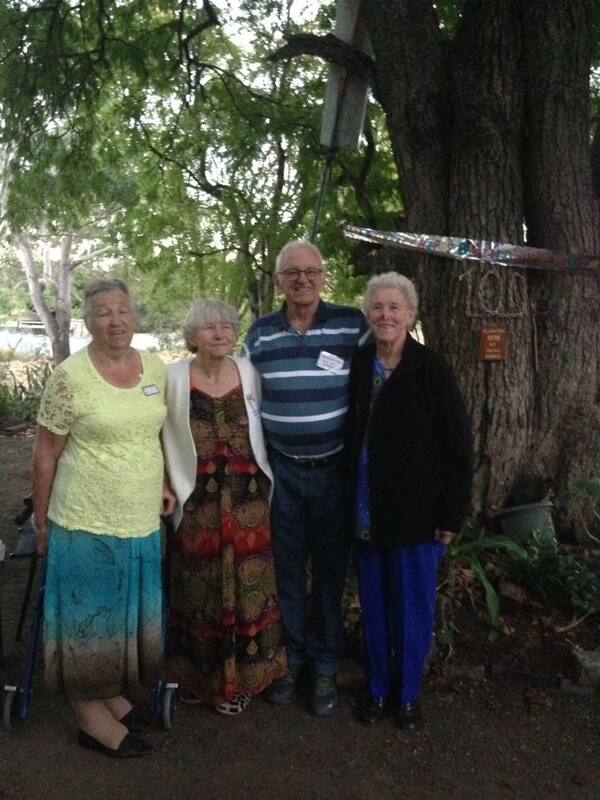 Lola Coker with Clint and Renee (Lawrie’s grandchildren). First cousins once removed Ken Coker (Roy’s son) and Warren Nunn (Alex’s grandson). First cousins once removed Colin Coker (Fred’s grandson) and Ian Coker (Cyril’s son). 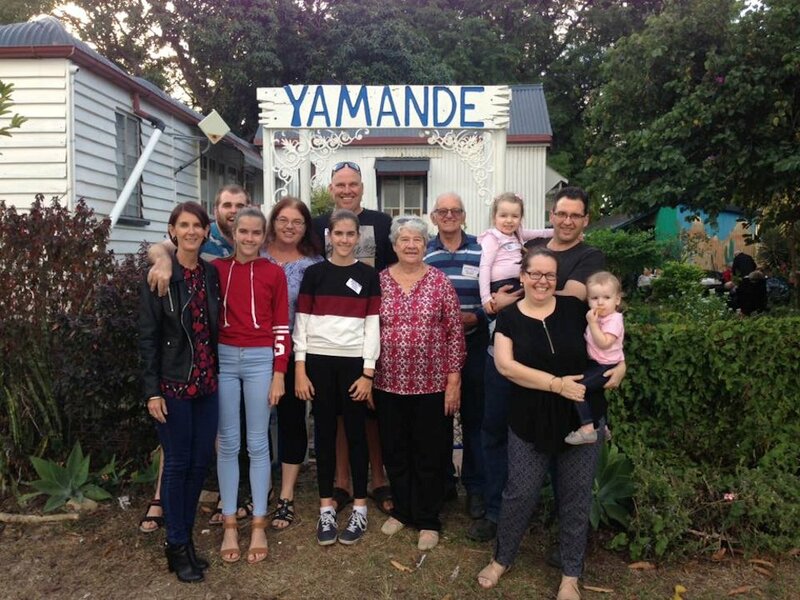 Winston Sleaford and family members at Yamande. Insert photo of Edna Coker. The cake that Coker descendants shared at Kabra. 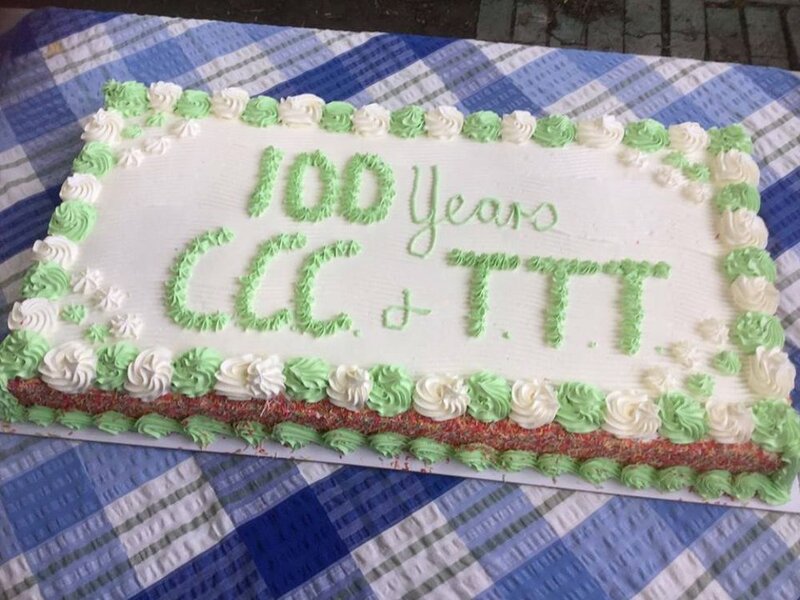 The initials CCC and TTT are for Charles Cyril Coker and The Tamarind Tree. 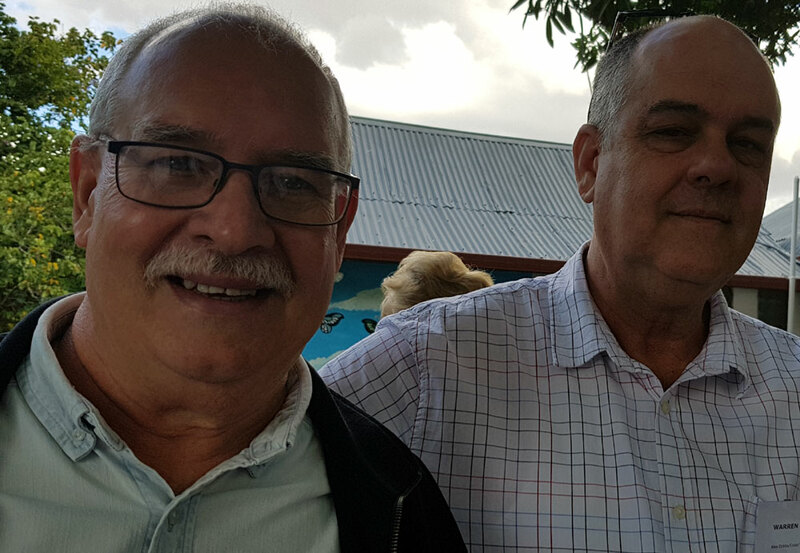 Great job Warren, wonderful meeting up with you and the rest of our family, enjoyed our chat and thanks for the information on book writing mate. Cheers, Colin. Who are the real science deniers? What’s going on under the ice? Does religion or science most benefit humankind?